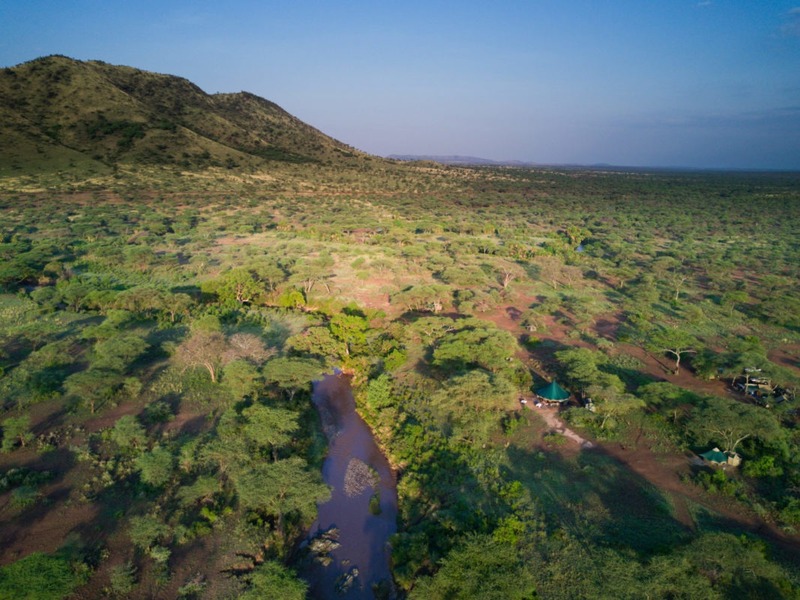 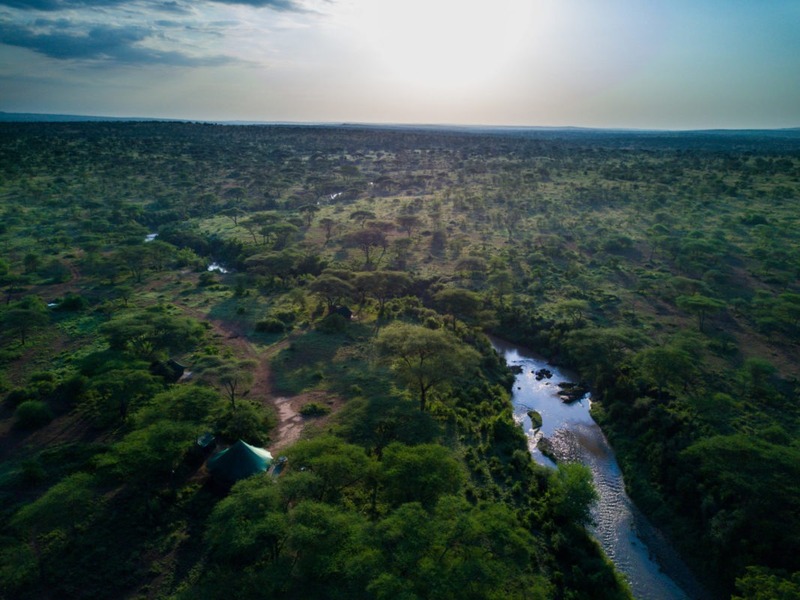 Set on a small tributary of the Grumeti River that holds water for most of the year, this intimate camp has fantastic wildlife all year round. 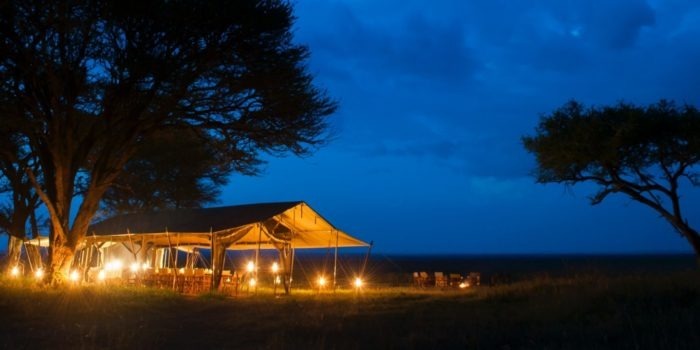 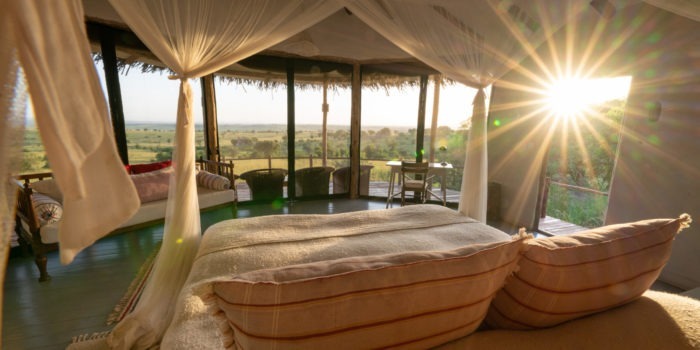 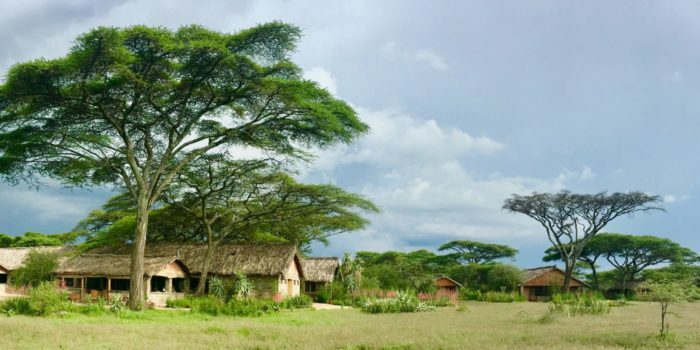 The camp lies under those large, classic, acacia trees and is a great spot to view the annual wildebeest migration. 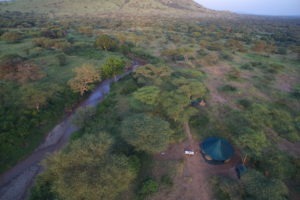 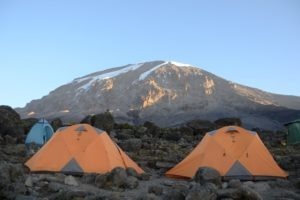 The location of this camp is one of its key features. 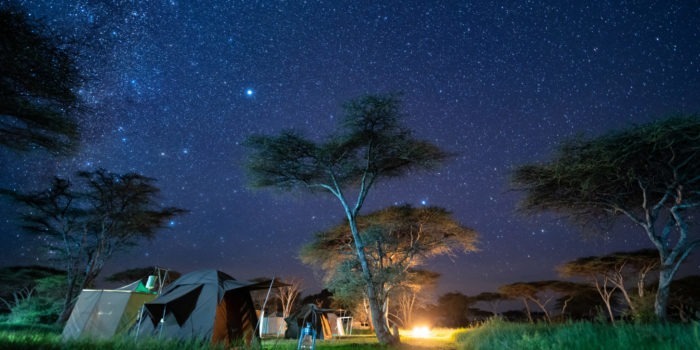 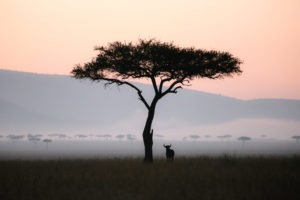 It is very central in the Serengeti and creates the perfect stopover point for guests traveling from the Crater area to the Northern Serengeti. 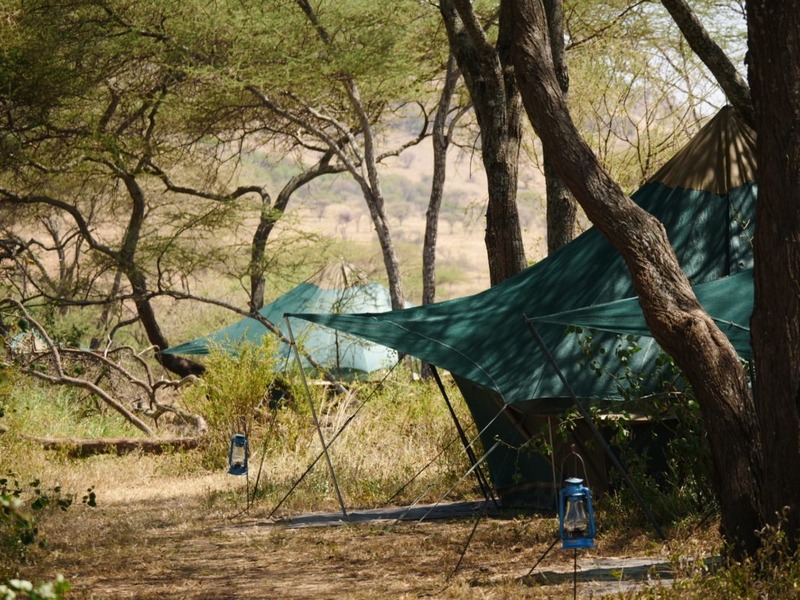 The camp itself is very stylish and comfortable with accommodation being in the form of 4m across bell tents. 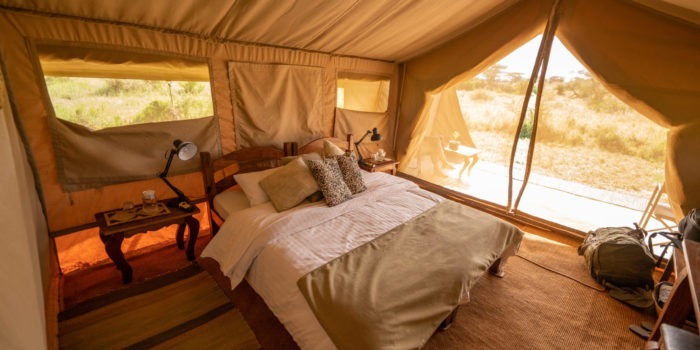 Each contains double beds, linen bedding, chairs, luggage racks and an attached large bathroom with a hot shower. 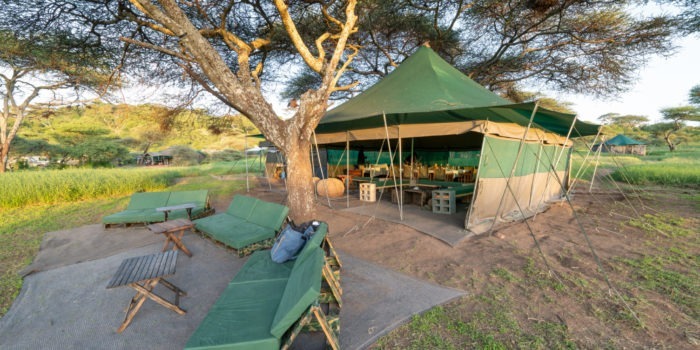 With only 5 bell tents the camp normally sleeps a mere 10 guests, although it is possible to accommodate 3 per tent on request. 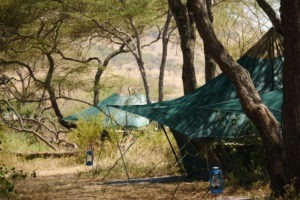 All meals are prepared by the camp chef and are either served as plated or buffet style. 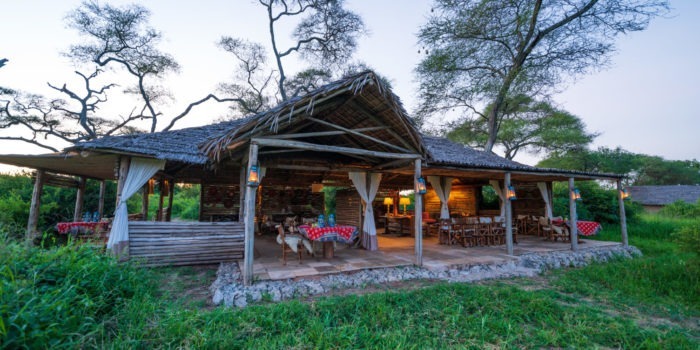 They are all hearty three course meals which are enjoyed in communal dining, however private dinning can also be arranged on request. 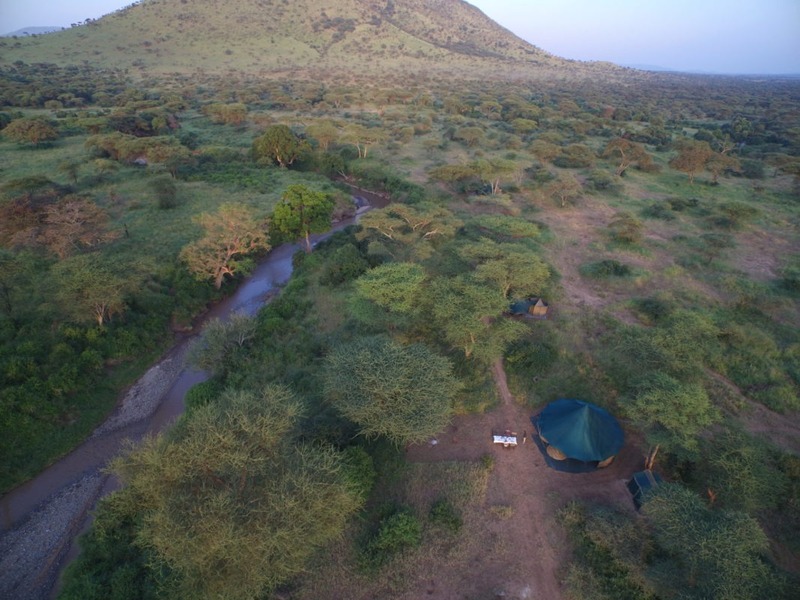 The camp is designed to be environmentally sustainable with impact on the environment minimised where ever possible. 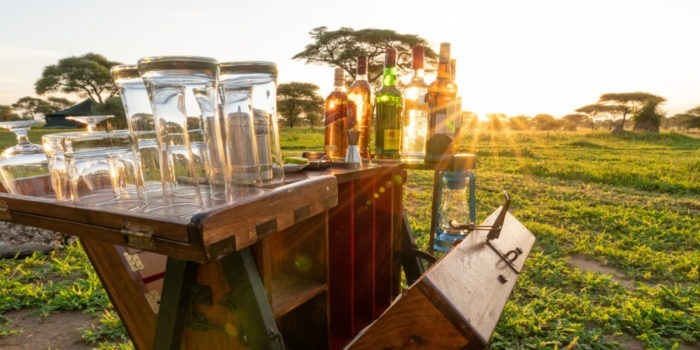 It is 100% plastic free, uses solar lanterns, recycles and much more. 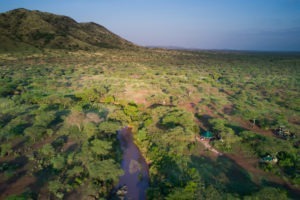 Great central location between the north and south. 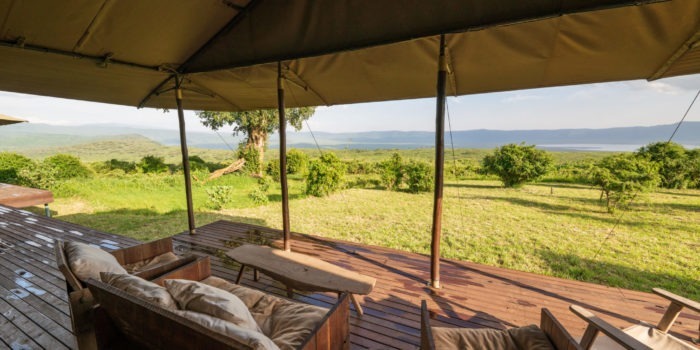 Eco-friendly camp which tries to minimize impact on the environment. 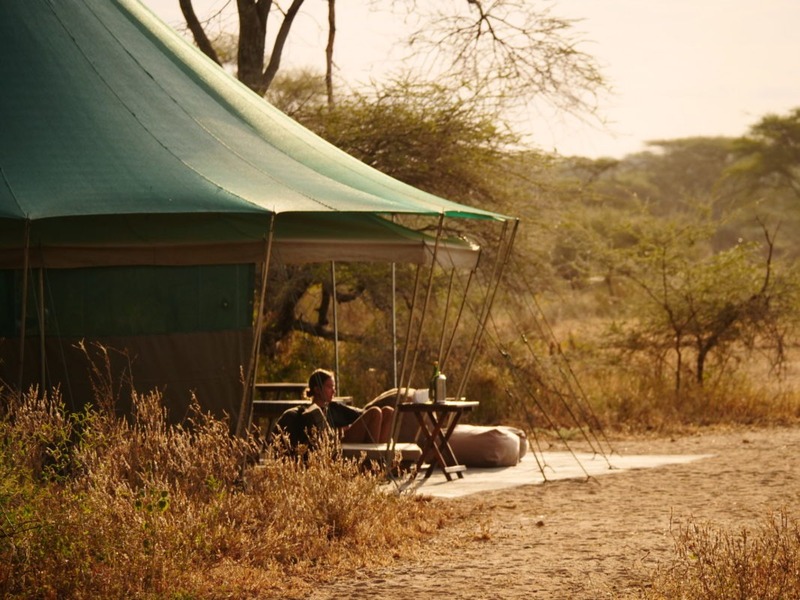 Simple and very comfortable accommodation – nothing flash. 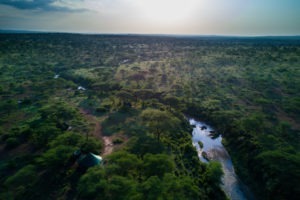 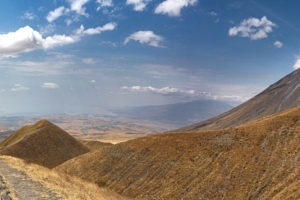 Amazing location to view the wildebeest migration. 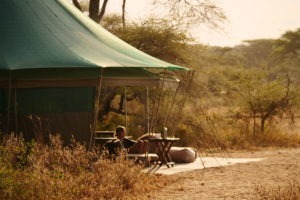 Wildlife viewing all year round.